Took only 8 pulls to down Taloc, not sure how we are gona tell his mother about it on the other side off the door. It was quite a step up from mother, but defeated none te less. Well done exile. Sharpen your swords and polish your wands – Uldir raid zone is open. 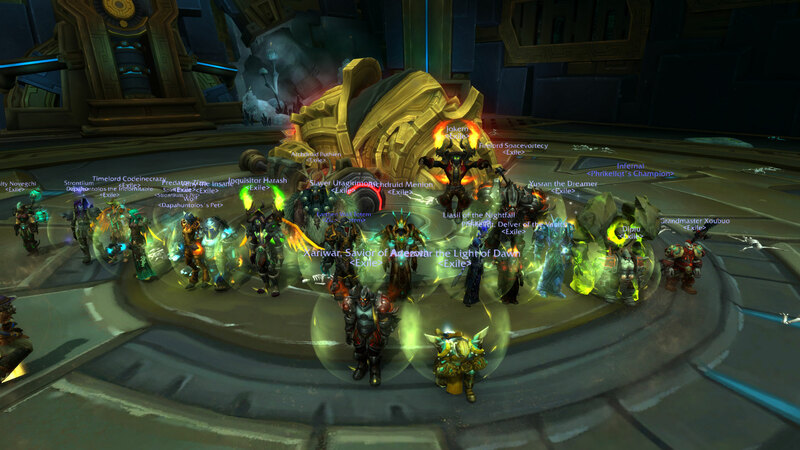 On the last day before prepatch exile killed off Coven aswell. Well done all. Enjoy the raidbreak till Uldir. ©2018 Exile Guild EU. Powered by Gnomes and Hamsters.